More Traffic. More Leads. More Business. You Have a Google Penalty. What Do You Do Now? Make a list of your keywords based on your business products or services. 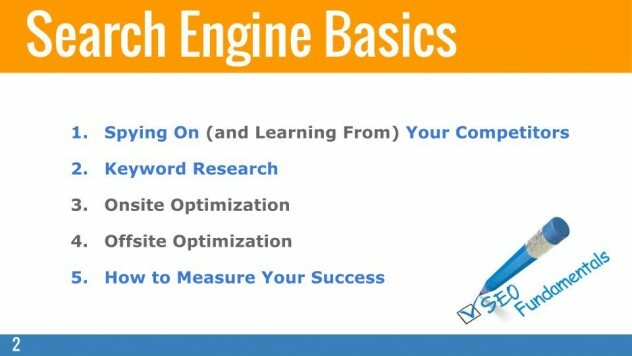 Research your keywords related search terms. Look for longer versions of your keywords with descriptors or locations. 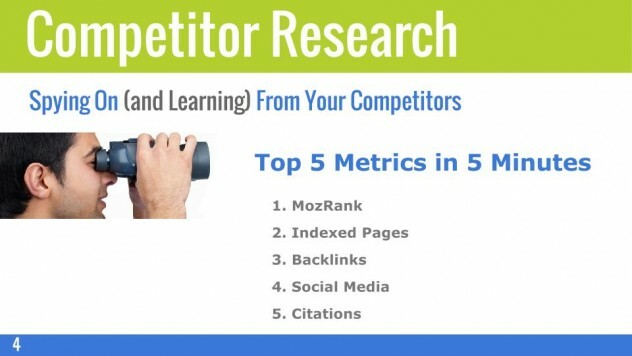 Research how competitors are ranking for these keywords. 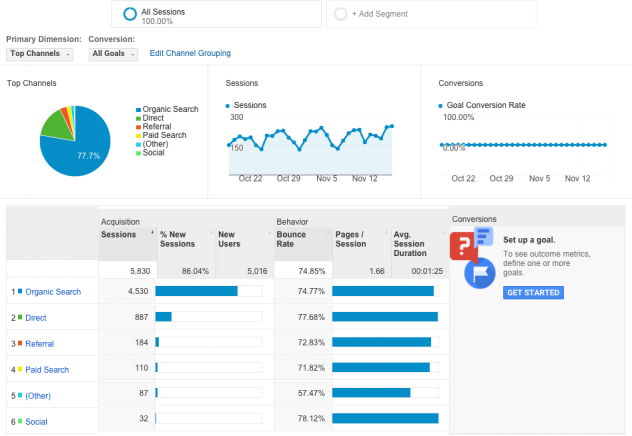 Use the Google Keyword Planner to refine your list to your most important keywords. Find your top competitors for your important keywords. 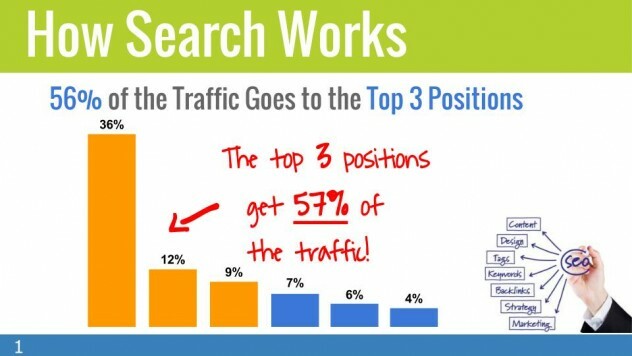 Research these competitors for your keyword or group of keywords. 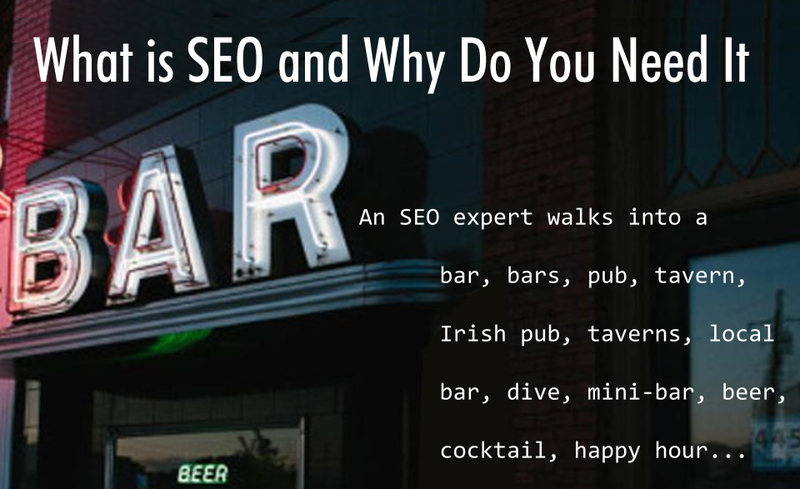 Keep researching until you find a great set of keywords without strong competition. DO NOT try to trick Google! Audience: Who are your visitors. 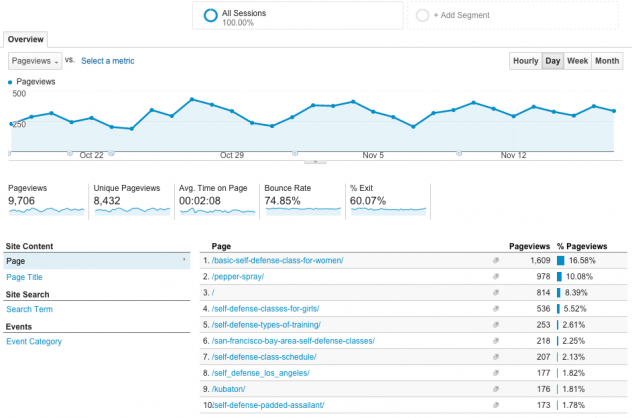 Acquisition: How did your visitors get to your website. 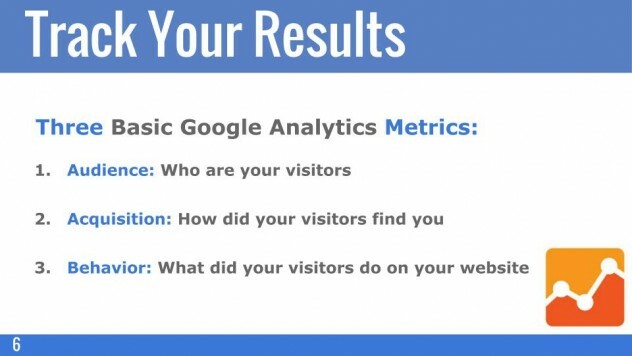 Behavior: How did your visitors interact with your website. Keyword Research: What are good keywords? 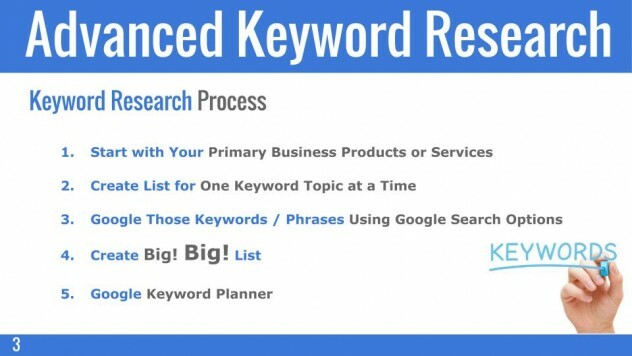 Keyword Research: How to develop a list of SEO keywords to target. Find the words and phrases your customers use instead of industry jargon. Google is looking for ways to gauge how your visitors engage with you. 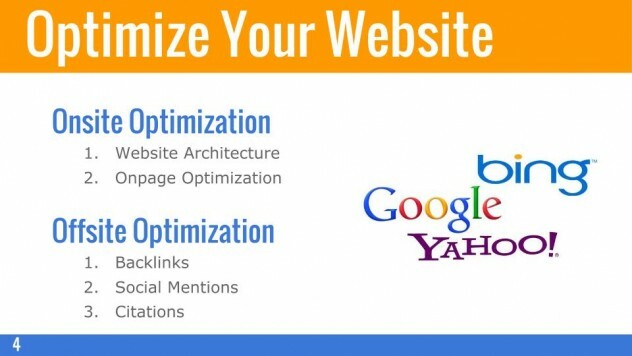 Optimize your social media with the same keywords. 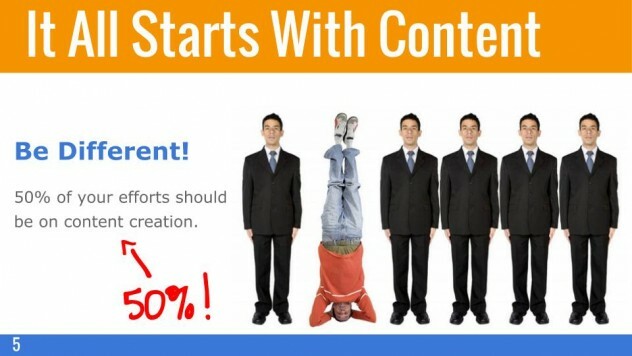 50% of your efforts should be on content creation. Google favors local businesses with local addresses. “Mobile Friendly” is now a major search ranking factor. 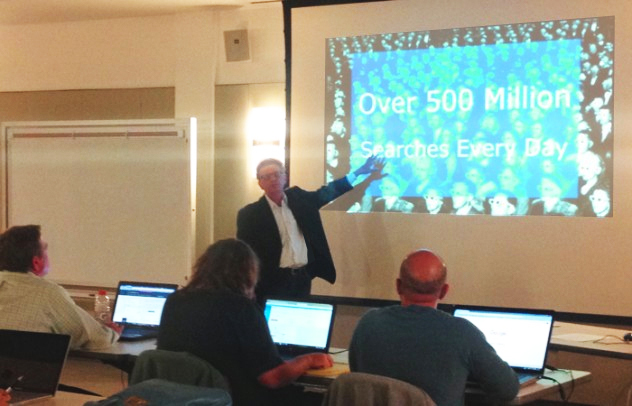 In our 3-hour SEO Workshop you will learn how SEO works, basic and advanced SEO, keyword research, competitor research, and Google Analytics. Weekly SEO tips, tricks and tutorials to kickstart your SEO! We put your business on the map. literally. Weekly tips, tools and exclusive marketing and SEO updates. Yes! Send Me Tips & Tricks Weekly! © 2019 More Traffic. More Leads. More Business.